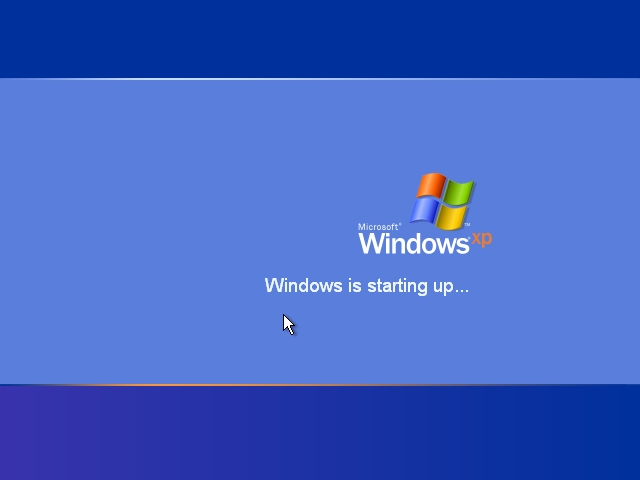 Windows XP Build 5.2.3790, "Kernel Update"
Future Points: (once build (krnup_rtm) ships). Add Optional Components Selector during 2nd stage setup (GUI Mode)? Do note that the test versions will have a timebomb. You will also need a Windows XP Professional Key. Suggestions for extras are welcome! Anyone willing to help out? Last edited by Kenneth on Sat Aug 23, 2008 2:23 am, edited 9 times in total. Well, i dont know much about coding. But if you need a tester, i will do it for you. And BTW, (i know its not your project, but similar), Hounsell, how is work going on your project? Hounsell, how is work going on your project? Count me in. I'm interested in a project like this, and would love to help in any way I can. Remember that we can use <exename>.config files to force Windows to look in the current directory for proper DLL's, and <exename>.manifest files to tell Windows what version of the .NET framework to use on .NET-compiled executables! This has definite potential. I'm in as well - a project like this serves a purpose, and is practical. What shall we do, captain? Post 1 updated for clarification. Considered adding Tablet PC or Media Center components (or making them an optional extra)? Screens and Component list added. Should this project fit on a CD or DVD? Added all of the styles from Longhorn Transformation Pack. The project will now only be on DVD. Sorry, but why are you turning this "kernel update" into a "longhorn-like" experience? It kinda upsets me that you would do that, seeing as other people that do this with crappy slipstreams using torrents, in my opinion, degrade Windows XP. becuase it's totally 1337 d00d!!! and other forums of similar nature. Same codebase with XP features added. that's eluded all who've played with such conversions in the past. 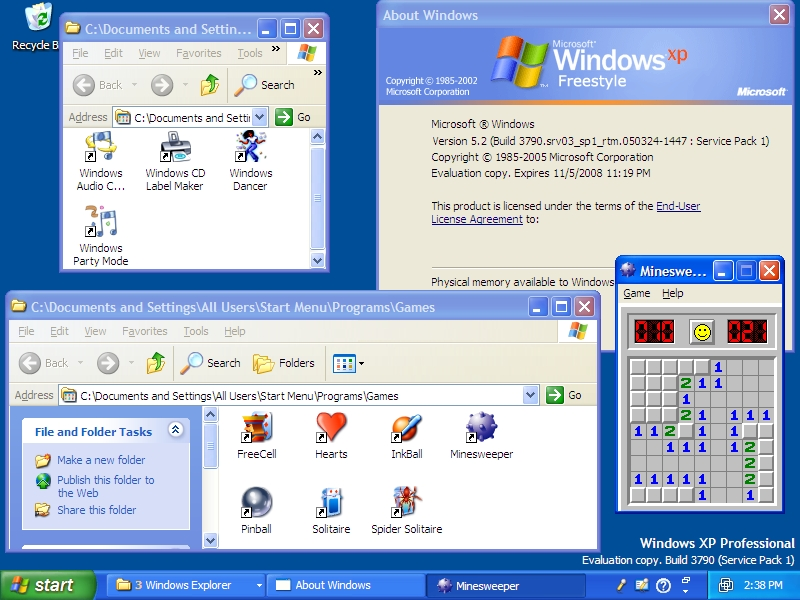 It's VLK, and the CD Version will be the Standard Windows XP on Server 2003 Kernel and HAL. The DVD version will only be sent to those who want it. Any beta version available yet? And i see the progress, its going great, this project is really gonna be something. And its good that its a VLK, (altough i have about 5 XP licenses gathered of the years and 1 VLK). One question, where should I upload it to? I don't quite see what the goal is yet though... are you up converting to Server2003? 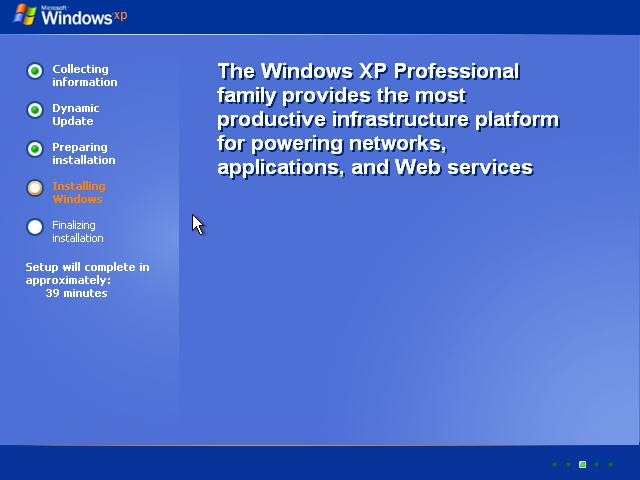 or down converting to XP? I'm going to assume the former. 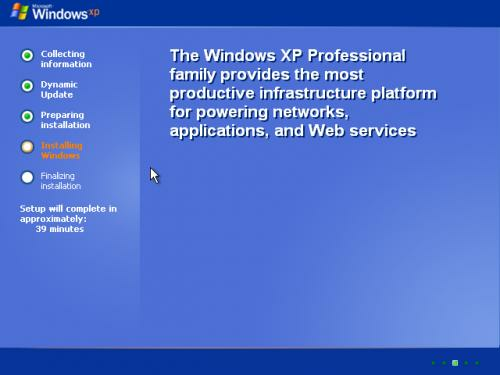 I belive it is coverting the xp GUI/look and feel and running on the updated Server 2003 kernel. BTW, I would love to betatest (if any betas are closed betas). Just out of curiosity, what is left of the first beta .